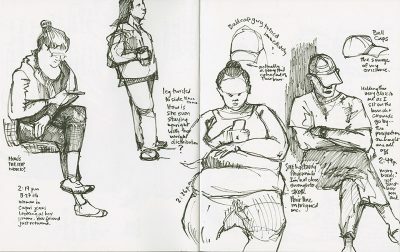 The 2017 session of my popular class “Drawing Practice: Drawing Live Subjects in Public” begins on April, 30. Registration for this class closes on April 29, 2017, at 11 p.m. Click on this link. This will be the last time that I offer this class with daily teacher participation. Pen sketches made of chickens at the Minnesota State Fair. 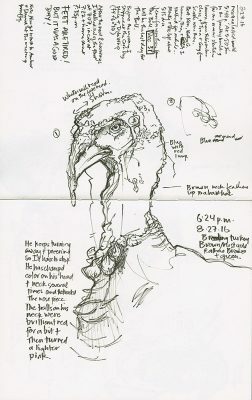 In class I’ll discuss quick sketching techniques and note taking so that you can begin to use your journal or sketchbook as the useful workbook it can be. If you would like to get serious (but playfully so) about your drawing habit join me for this 30-day class. Each Sunday and Wednesday from April 30 through May 31 a new lesson (with video demonstrations and handouts) will open. 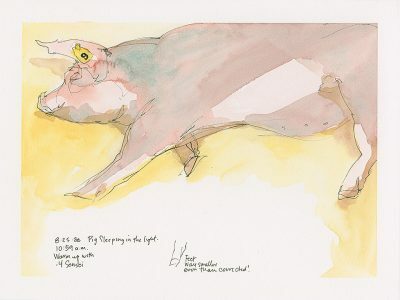 You’ll sketch every day of our 30-day class so that you can develop the daily drawing habit you have always wanted. 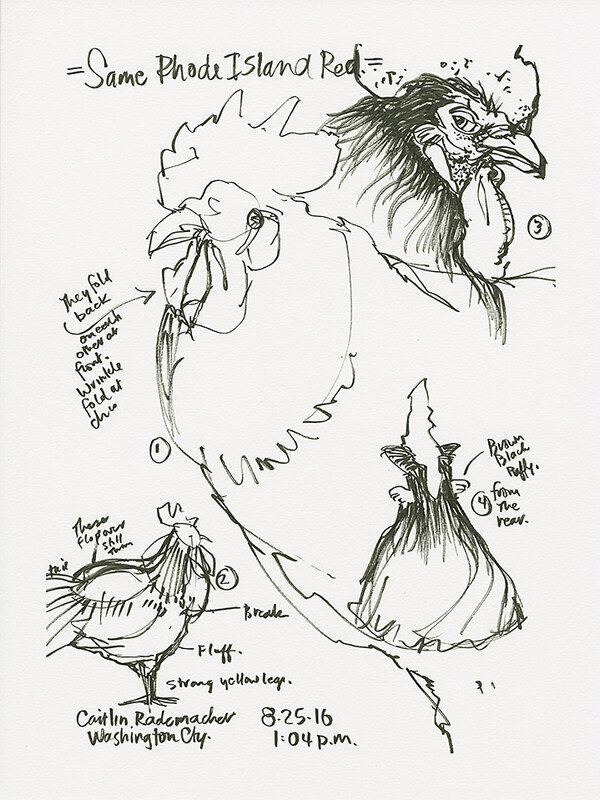 You’ll learn foundational approaches that will help your drawing skills regardless of your drawing level. You’ll work from live subjects (with some suggested still life subjects for when it’s rainy or time is short). You won’t work from photos because you’ll be training your eye to work with the three dimensional, live world. During class we will also explore how the internal critic undermines your efforts to form healthy durable habits such as daily sketching. 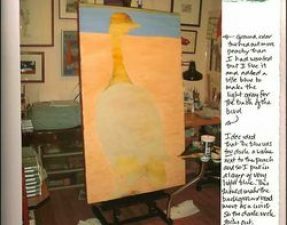 I will help you change the way you talk about your artwork so that you stop shooting yourself in the foot! At the same time I’ll give you tips and suggestions for working in public, from live subjects who aren’t sitting patiently for you! It might seem intimidating to you right now, but it’s a skill you can learn just like any other. 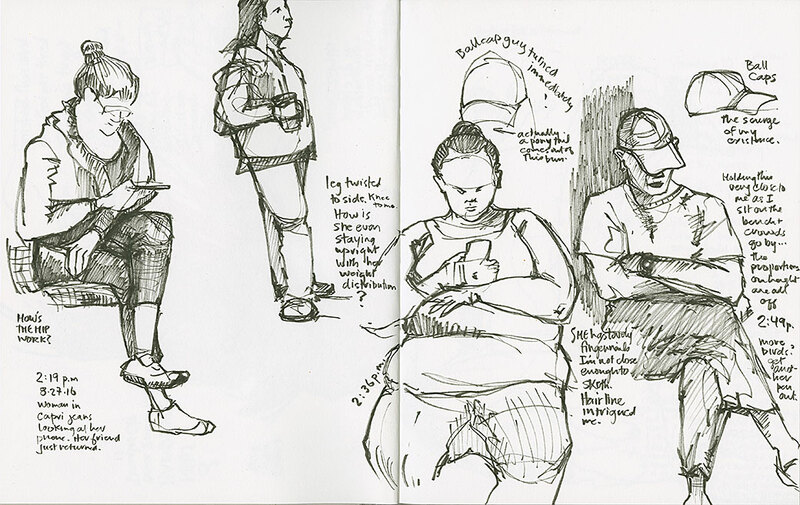 Sketching from life as you make your way through the world is a fun way to engage in your surroundings whether you’ve just run on an errand to the corner store or you’re traveling around the world. 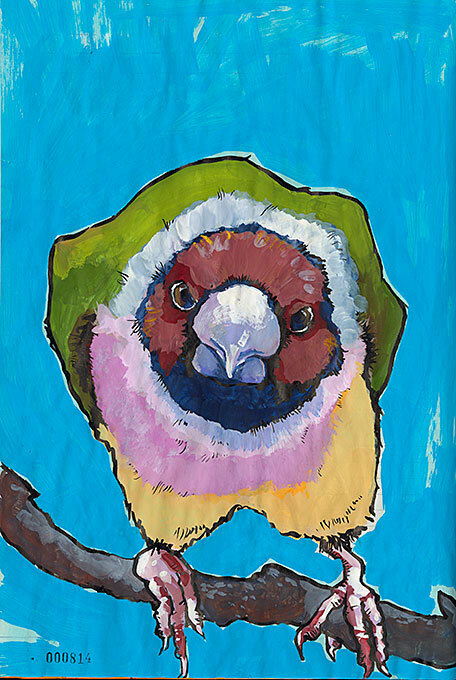 You’ll hone your observational skills and become better able to create a sketchbook or journal which captures your life. It’s not only totally possible to catch realistic details on live moving subjects, it’s fun. 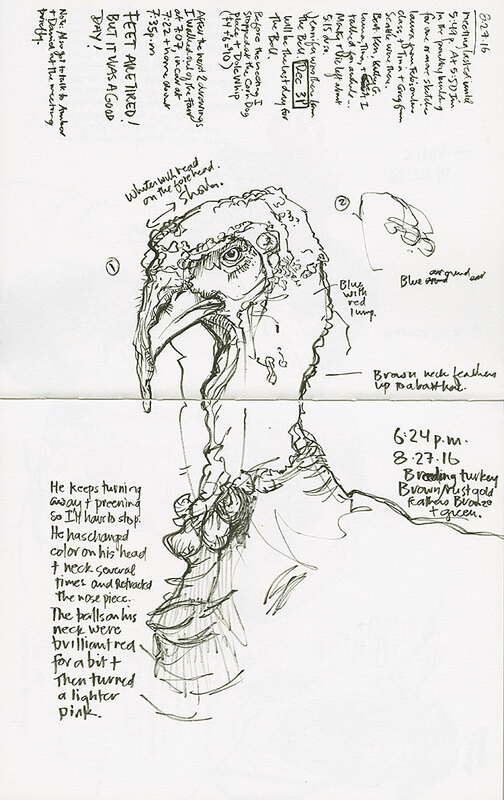 In class just one of the many real-time video demos shows me sketching a turkey at the Minnesota State Fair, just like this guy! There will also be live webinars during class where we discuss additional information. I even explain how to set up regular self-evaluations and goal setting sessions with yourself so that you can grow the creative life you want to have. And when the 30-day class ends you’ll still be able to increase your skills by reviewing the lessons whenever you want. Register today (click on this link). Next post: What Do You Have on Hand? 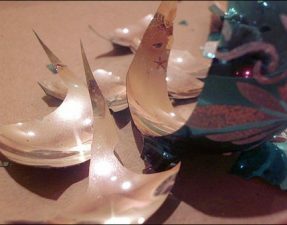 What Happens when a Pantheist Decorates Your Christmas Tree?